Even before Paul Ryan’s sudden announcement that he wouldn’t seek re-election this year, the ironworker looking to take his Wisconsin seat told Unearthed the speaker was “running scared”. Ryan’s decision to not seek re-election has caused alarm for Republicans, already fearful of a Democratic wave in the autumn. 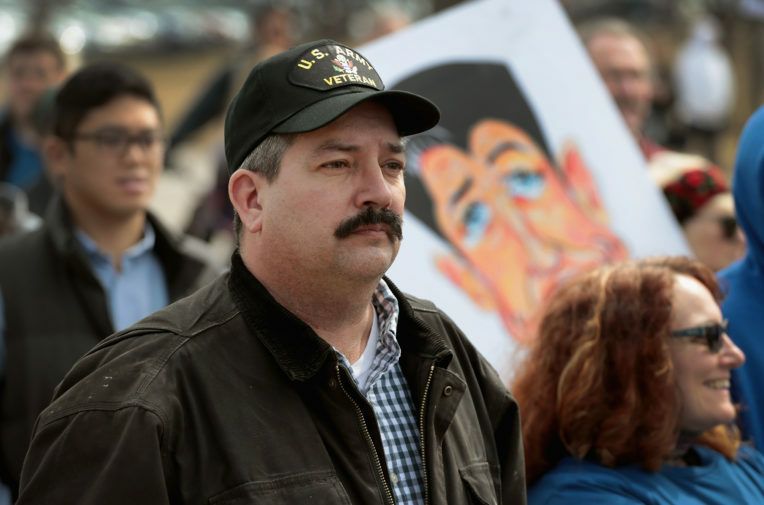 But even before he announced his departure, members of Congress told Bryce – better known by his Twitter handle “Iron Stache” – that he presented the most serious electoral challenge to the speaker in two decades. He says an internal poll from December showed him six percentage points behind Ryan, and Bryce says that lead evaporated when a short bio of the candidates was included next to their names. Now without one of America’s most powerful politicians to run against, the path to DC looks far easier, even if he has to negotiate a primary against Cathy Myers, a teacher, in August. Speaking to Unearthed days before Ryan announced he will leave Congress this autumn, Bryce says Democrats can gain ground on Republicans on the issue of climate change, and revitalise communities like his in the process. His platform, which includes a “Green New Deal”, no new oil pipelines and a pledge to prosecute ExxonMobil for “lying to the public” over climate change, has won praise from environmental activist Bill McKibben. On his site, his campaign team boasts about how, as an ironworker, Bryce turned down work on a new pipeline saying “he wouldn’t feel comfortable” working on a job like that. Bryce says his emphasis is on shifting to sustainable energy rather than simply telling construction workers not to take fossil fuel jobs. It’s easy to see Wisconsin’s first district, where Bryce is standing, as a model for understanding the political landscape of Trump’s America. A mix of former manufacturing cities, suburbs and rural farmland, stretching along the state’s border with Illinois, the area was a union stronghold until the motor-industry jobs largely disappeared at the turn of the century. In 2016, Trump carried it by 10 points, winning over working-class voters who had gone for Obama, previously. For a Democratic party experiencing an identity crisis after Trump’s election, Bryce came around at exactly the right time. A union activist with only limited experience running for local office in his home state, the campaign video announcing his campaign electrified liberal America. Since then, money and support have poured in from across America. Bryce says his campaign outraised Ryan’s by $1.75m in the first three months of 2018, rejecting corporate, fossil fuel and Wall Street money in favour of small donations. In a recent profile, Mother Jones wrote that his popularity was linked to “inescapable cultural anxiety” about the state of the party. Another writer described him as “human Springsteen song”. 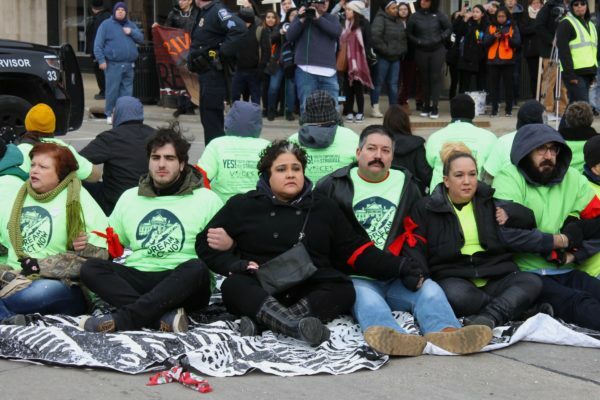 By the time pictures were published of Bryce getting arrested for protesting outside Paul Ryan’s office against Congressional inaction on the Deferred Action for Childhood Arrivals (Daca) programme, Democrats had decided that Bryce, the living embodiment of the white, working-class voters they need to win back, was their guy. That extends to Trump’s pledge to introduce steep tariffs on Chinese steel imports. With seven months to go before the election, and without Ryan to contend, the “Iron Stache” is optimistic. This piece is also published in the New Statesman. Unearthed does not endorse any political candidates or political parties.